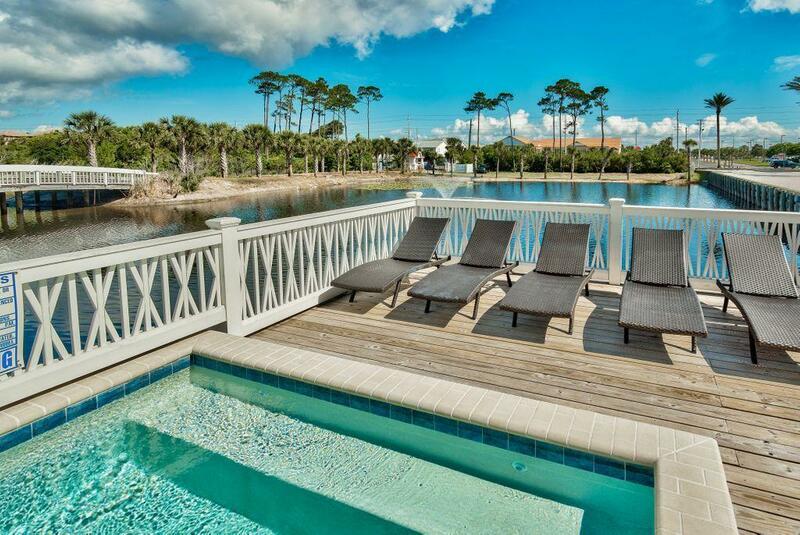 Prominently located south of Scenic Highway 98 this stunning beachside retreat is primely positioned on beautiful lake frontage steps from a private beach access in the gated gulf front community of Shipwatch. 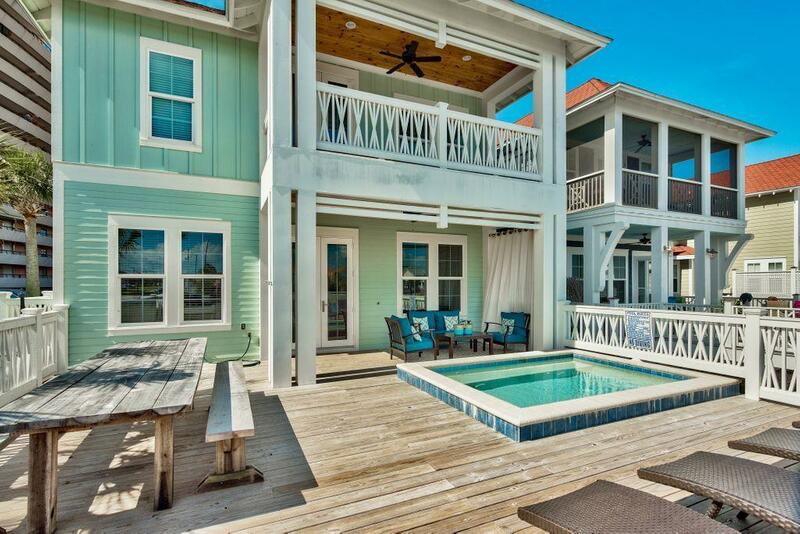 Notably finished with coastal contemporary decor, this designer home is an established short term rental offering excellent income potential as well as an unparalleled lifestyle set among South Walton county's notable white sand beaches. Masterfully designed for indoor/outdoor living this premier property offers an expansive outdoor living area that is cantilevered over the lake characterized by a spacious sun deck as well as a 12x10 heated plunge pool and covered outdoor lanai. The open floorplan is evident throughout the home with dual master suites, one located on the main flooras well as a second one located on the upper level complete with a private lake front balcony as well as a pristine ensuite bathroom offering clean lines, walk in closets and dual vanities. The primary level is comprised of a wide open living space which is optimal for entertaining including a chef's kitchen complete with white granite countertops, stainless appliances and ample cabinet space anchored by an oversized center island. 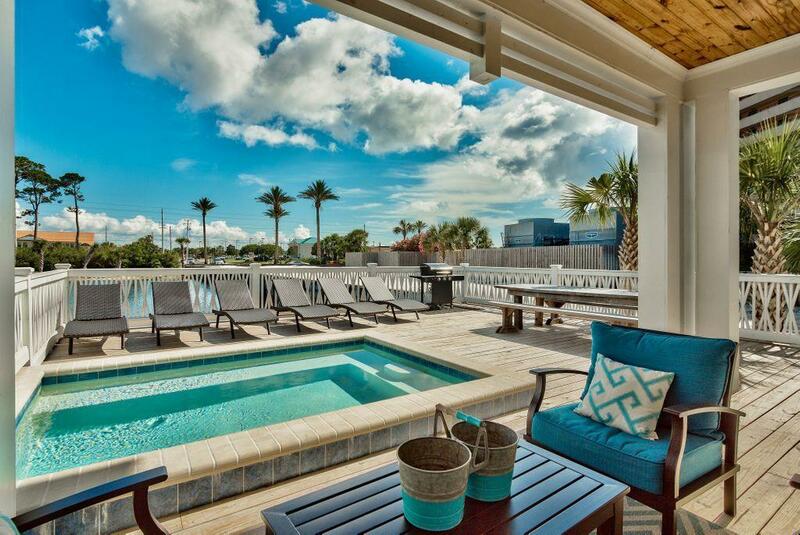 Additional notable features include a large garage with parking for four cars as well as easy proximity to the community beach access and gulf front gazebo. 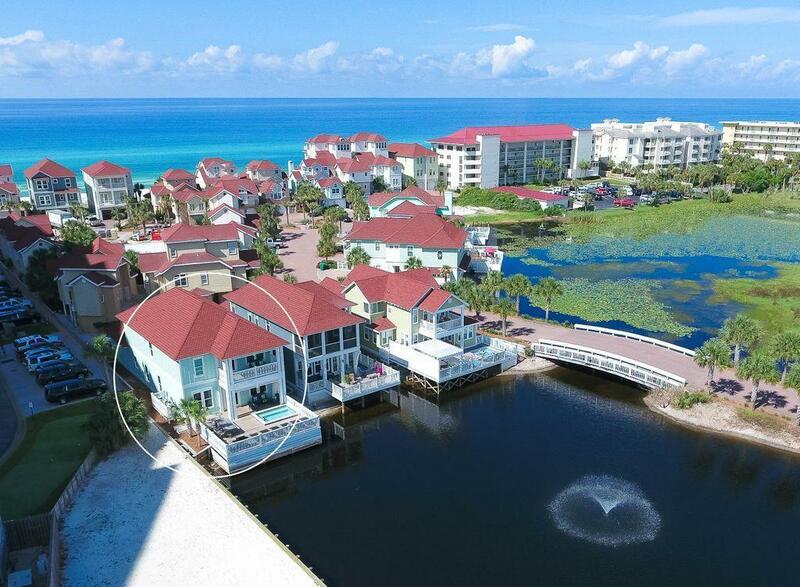 Shipwatch is a premier gated community located along the Scenic Highway 98 corridor with excellent proximity to world class shopping, dining, golf courses and local entertainment.